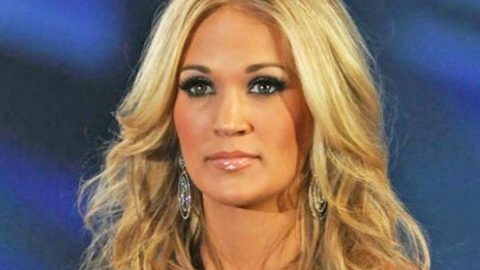 Do not mess with Carrie Underwood. Or her friends, for that matter. Underwood took to Instagram to call out a man for cyber bullying one of her close friends and trainer, Erin Oprea. Oprea was the target of bullying after a man took a picture of her working out while she was watching one of her son’s soccer games. She also led us to her blog, which told the entire story of how she is a working mother of two boys who just started soccer leagues in two different towns. Between training her clients, one being the extremely fit Carrie Underwood, and shuttling her sons to and from their activities, she barely has time to get a workout in for herself. She always travels with a few weights and her jump rope in her car in case she gets a few spare minutes. She started jump roping while watching her son’s game and unbeknownst to her, that’s how she became the subject of cyber bullying. Underwood did not take this lightly, and spoke out on social media as well. Her post has garnered over 600 positive comments to Oprea and to Underwood for speaking out on such an important issue – even adults can be bullies.